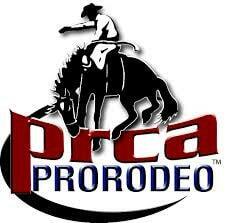 The Professional Rodeo Cowboys Association (PRCA) is the largest and oldest rodeo-sanctioning body in the world. The recognized leader in professional rodeo, the PRCA is committed to maintaining the highest standards in the industry in every area, from improving working conditions for contestants and monitoring livestock welfare to boosting entertainment value and promoting sponsors. The PRCA also proudly supports youth rodeo with educational camps and financial assistance to young standouts preparing to enter the professional ranks, as well as supporting allied organizations such as Miss Rodeo America, American Quarter Horse Association and ProRodeo Hall of Fame. COWTOWN RODEO is part of the First Frontier Rodeo Circuit. COWTOWN RODEO is sanctioned by the PRCA and must follow all guidelines and rules set forth by the PRCA. The Women’s Professional Rodeo Association was formed in 1948 when thirty-eight cowgirls came together to create an organization dedicated to the promotion and advancement of women in the sport of rodeo. The earliest pioneers of the Girl’s Rodeo Association (GRA) were ropers, bronc riders, and barrel racers. They were fed up with a system which did not grant them competitive opportunities in the arena and, when it did, operated under unfair conditions. It is the oldest women’s sports association in the country and the only one governed entirely by women. In addition to the roping events, the WPRA has divisions to promote growth in the industry and now crowns a WPRA Junior World Champion Barrel Racer through its WPRA Juniors division for ladies under the age of eighteen. The WPRA also crowns world champions in the Futurity and Derby divisions, designed for young horses in their first years of competition. All Barrel Racers must be a member of the WPRA to compete at COWTOWN RODEO. COWTOWN RODEO is sanctioned by the WPRA and must follow all guidelines and rules set forth by the WPRA. Entries are accepted each week via ProCom at 800.234.7722. To enter, you must be a PRCA/WPRA permit or cardholder. Entry fees and rodeo winnings are paid directly through the PRCA.